Fill in the Alias to be able to use this connection in your project. 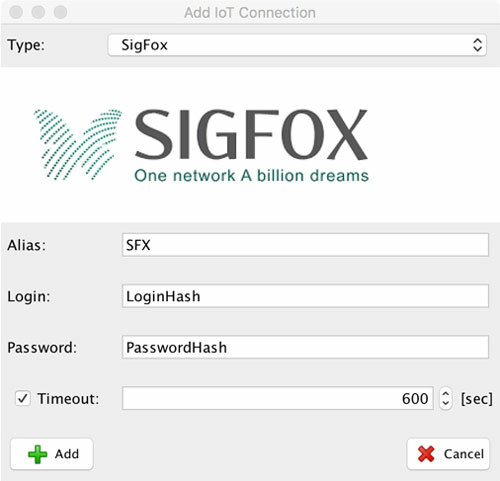 Then fill in the Login and Password generated from your account in the SigFox backend server. If you specify a timeout interval, mySCADA will process the time of every message, and if the time is over the specified limit, you will be notified by an error communication about it.